Dr. Xianyan Tang, an associate professor of epidemiology & biostatistics at Guangxi Medical University in China, has worked as a visiting scholar in University of Franche-Comté and French Center for Disease Surveillance with the funding of XU Guangqi Program in 2011. During 2013-2016, he received the scholarship from China Medical Board (CMB) Rural PhD Training program to pursue the degree of Doctor of Philosophy (Epidemiology) at Prince of Songkla University in Thailand. He mainly focuses on the fields of Spatio-temporal epidemiology and Eco-epidemiology. Particularly, he conducts researches on the impact of eco-environmental factors on the spread of emerging & re-emerging infectious diseases. So far, he has worked as principal investigators (PIs) of the Open Competitive Research Grant of China Medical Board (CMB-OC), the Young Scientists Fund of National Natural Science Foundation of China (NSFC) and the Young Scientists Fund of Guangxi Provincial Natural Science Foundation, etc. Currently, he is the director of research & education department and the executive director of geographic information systems (GIS) research laboratory at Public Health School of Guangxi Medical University. 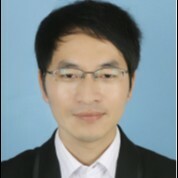 Additionally, he is the peer-reviewer of several international and regional journals.